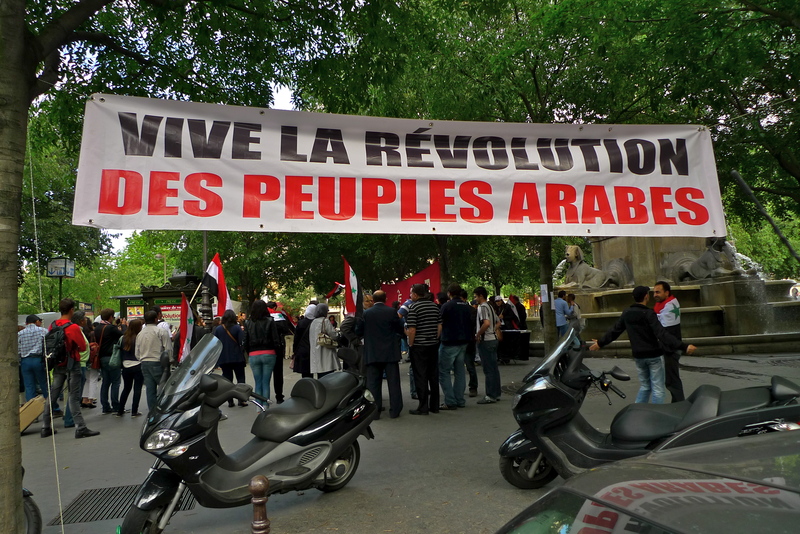 LIVING IN PARIS I’ve attended and recorded countless manifestations, the demonstrations that the French are so good at producing at the drop of a hat. These days I get rather bored with them. French demonstrations work to a tired, worn-out script, which is well past its sell-by date. But, occasionally one comes across a demonstration that has passion and real meaning. 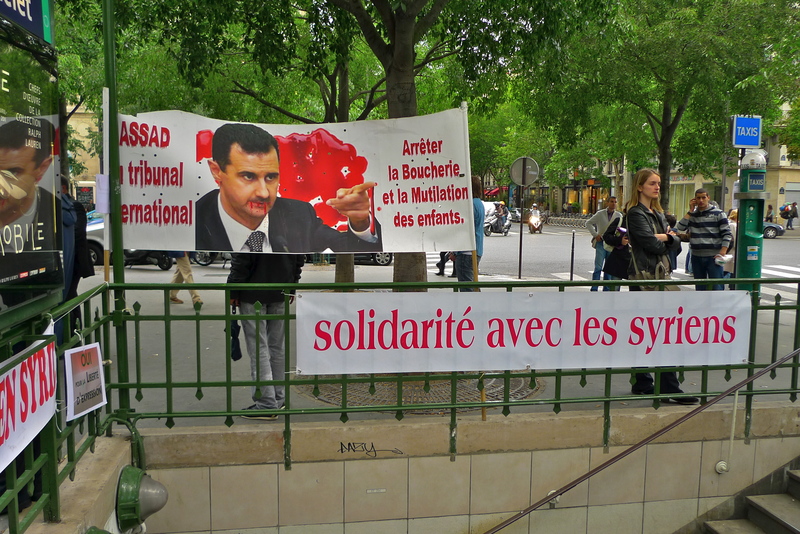 Last Saturday, after a day of fruitless sound hunting, I arrived at the Place du Châtelet where I found a group of Syrians demonstrating in support of their cause, to free Syria from the tyranny of the Assad regime. Two Syrian ladies either side of me grasped my hands and pulled me into the circle of people surrounding a man making his own distinctive protest. I had no hesitation in accepting their invitation. 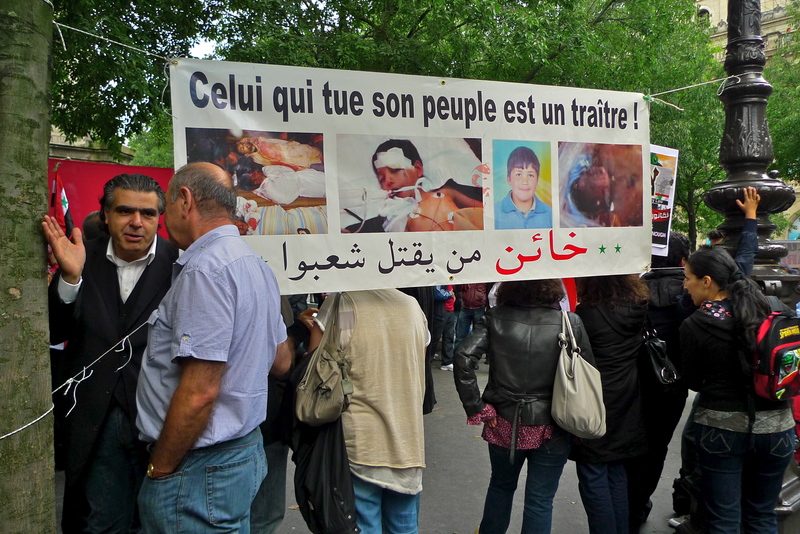 The people around me were Syrians, a people I know little about. 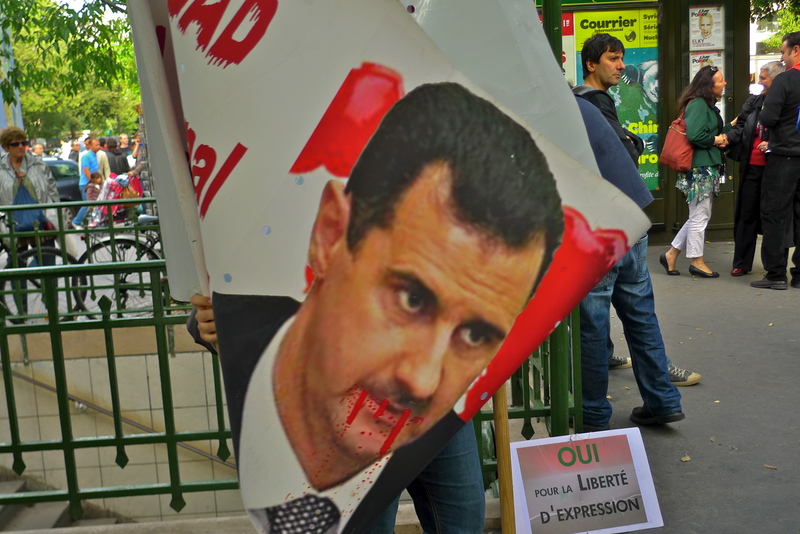 What I learned was that they are friendly, passionate people determined to rid Syria of a repressive dictatorship that has gone on for far too long. This was not a typical French demonstration that brought hundreds of thousands of people on to the streets at the whim of the CGT, the French communist led trades union, in pursuit of a lost cause. 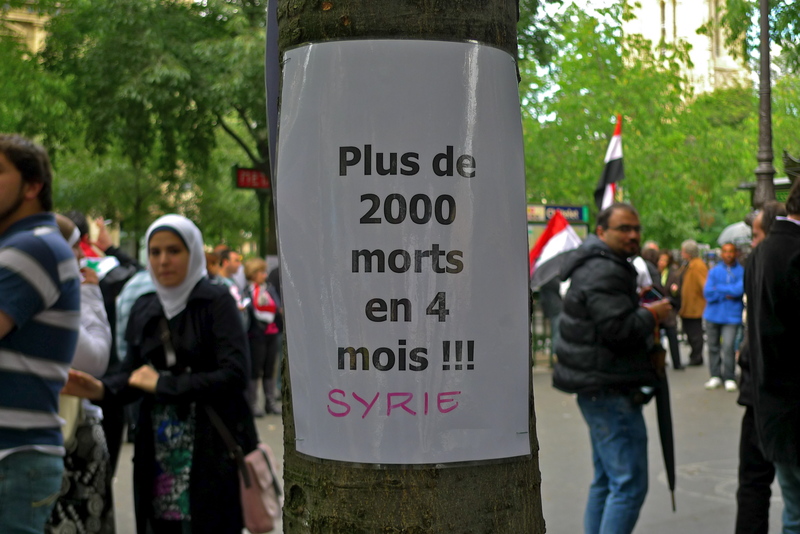 This was a heartfelt demonstration by Paris based Syrians with a passionate love for their country. And none more so than this lady who spoke from her heart. I couldn’t understand a word she was saying but her passion was telling. 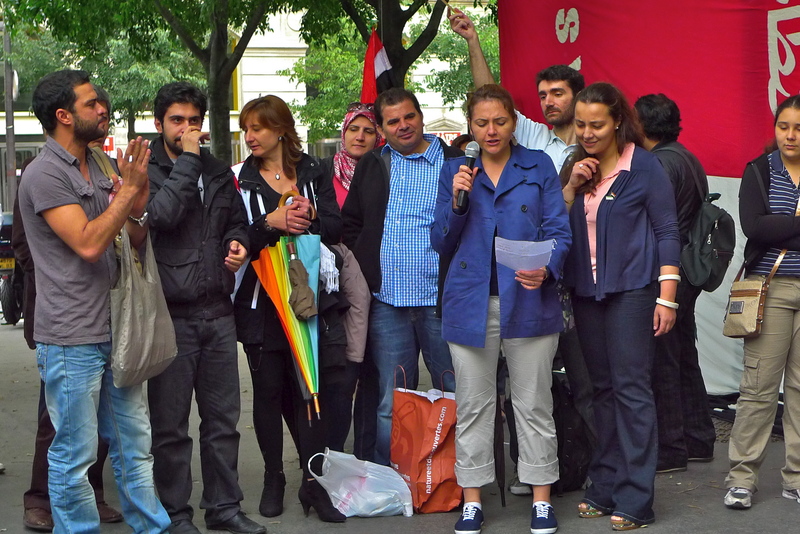 This passionate group of people were able to occupy the Place du Châtelet and express their point of view in public without fear of being shot at or murdered. Not so in Syria I’m afraid.